During this difficult period for our Catholic faith, let’s join together to make an assessment of our lives in Christ, beginning with the stewardship of our prayer lives. We pray for those who suffer because of abuse, we pray for their families and the strength of church leaders, including laity, to take action to address the needs of our church. Through prayer, let us come to know the power of the Holy Spirit within us. It is here that Christ declares, “My grace is sufficient for you, for my power is made perfect in weakness” (2 Cor. 12:9). 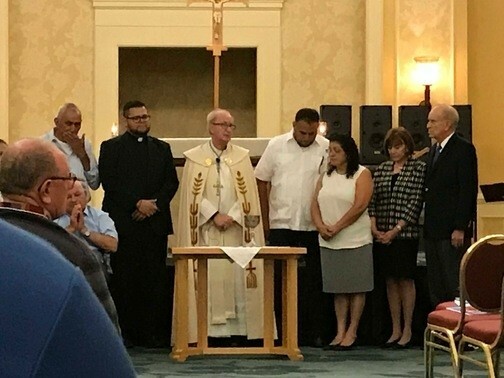 Following the recent news about abuse within the Church, Bishop John Noonan has issued a statement with the USCCB statement and our Diocese of Orlando safe environment details. It can be found here: www.orlandodiocese.org/bishop-noonans-statement. 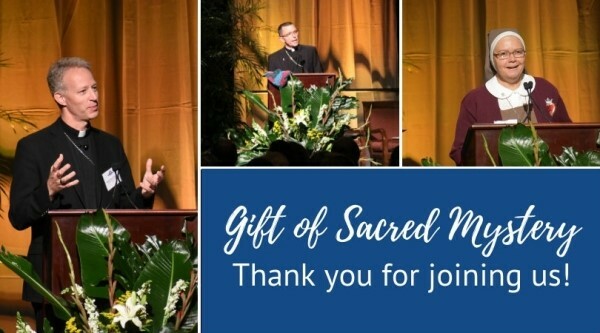 The Catholic Foundation was pleased to join with more than 1,000 faithful who gathered to listen to insights regarding the Eucharist at the Rosen Shingle Creek Resort in Orlando, Sept. 8. 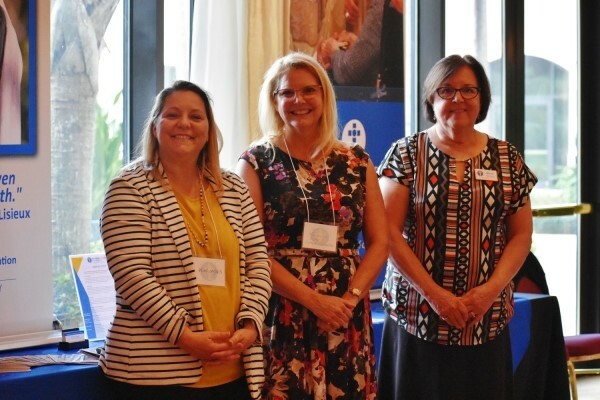 As part of the Diocese of Orlando 50th anniversary jubilee, honoring the Year of the Eucharist, The Gift of Sacred Mystery delved into the Eucharist as gift, as sacred and as mysterious encounter. 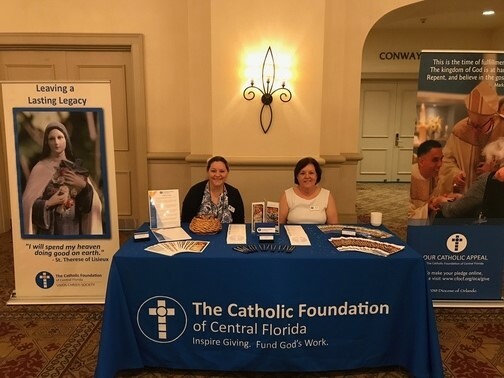 The Catholic Foundation of Central Florida’s staff served and supported our priests at the Diocesan Convocation in early September. We welcomed our newest priest, Father Edwin Cardona. 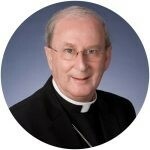 We pray with gratitude for Bishop John Noonan on the 35th anniversary of his Ordination to the Priesthood! Everyone should plan for these important topics. Are you and your family prepared for emergencies? Not sure how or where to start? Are you procrastinating? These seminars will help you start or at least start thinking about important life and legacy planning for you and your family. Wills & Estate Planning – Important documents like a Will and Power of Attorney are not just for the wealthy or older generation. You should have these documents and other important plans for you and your family. If you don’t have a plan, the State of Florida will make decisions for you in a way you may not agree with. Catholic Medical Care – Understand Catholic practice and teaching about medical care. Detailed information is provided to explain when nutrition and hydration is a benefit or a burden to your loved ones. Information regarding hospice care will also be provided. Lunch will be provided. This seminar is free, but seating is limited. Please RSVP by October 3rd to Sue at the parish office at (321) 735-7593 or email srauch@stmarysrockledge.org. Catholic Funeral Rites and Cremation – Understand the beauty of Catholic Funeral Rites and their meaning. Funeral Planning – After a loved one passes, many decisions need to be made quickly. Many can be made now to ensure a personal and meaningful celebration of life. Early planning can also reduce emotional overspending for funeral costs.